Read one political novel each month - Last year was a huge political awakening year for me, and I want to do what I can to keep that momentum going. Prioritize my overall health - I've put this off for later for a long time now, and later is finally here! Drink more water and less soda - Goes hand in hand with #2. Pay better attention to the dogs' oral health - I want my mutts around for a long time, and this is a step I can take to ensure that. Go on more hikes - This island is too beautiful to not explore every nook and cranny out there! Keep exploring - I never want to stop exploring the world around me, whether it's here in Hawaii, back on the mainland, or during vacations we'll take in the future. Focus more intensely on money management - Mr. L and I have a lot of world left to see, and we want to make sure we stay financially sound enough to do it. It isn't too long, but that's probably for the best. I've also renewed my interest in the 101 Things in 1001 Days Project. I actually started the list back in December of 2011 and then promptly forgot about it, haha. Ironically, I actually did accomplish more than I thought I would have during last year -- go figure! But I finally finished adding a total of 101 things to my list and I'll be trucking on to continue on my journey to finish that project. If you're interested in starting one of your own, just head on over to the Day Zero Project website. 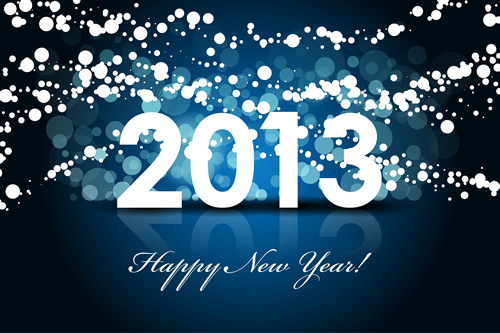 Do you have a 101 in 1001 list or any resolutions for 2013?